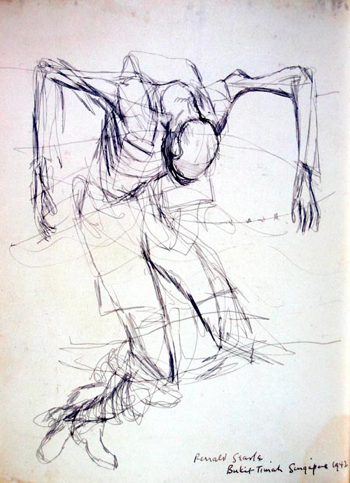 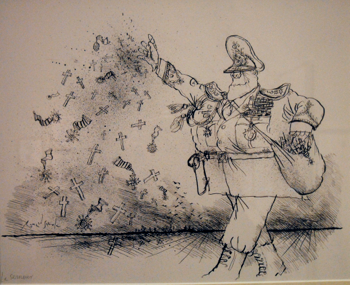 I came across the other side of his work when I read his book To the Kwai - and Back: War Drawings, 1939-1945 (Collins and Imperial War Museum, 1986) when I was researching the art which emerged from the POW and concentration camps of WW2. 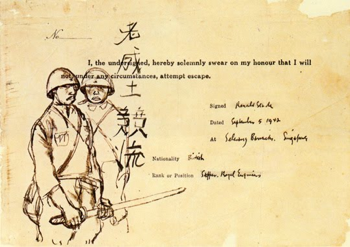 His collection of eyewitness drawings of life in Changi Prison in Singapore and the work camps of the notorious Thai-Burma railway is extraordinary. 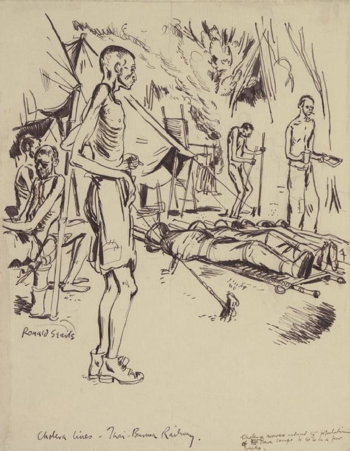 He secretly documented his experiences and hid them from his guards by placing them under the mattresses of soldiers who were dying from cholera. 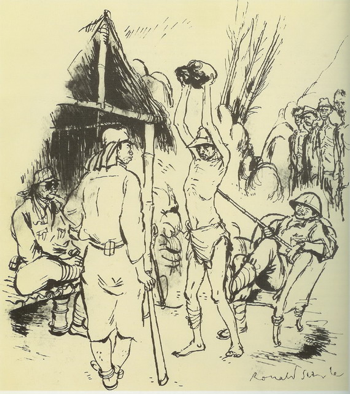 The brutality and disregard for human life which he experienced first hand led him to ask himself the question - "could this happen to people in my home country, or is this something peculiar to the Japanese people and their culture?" 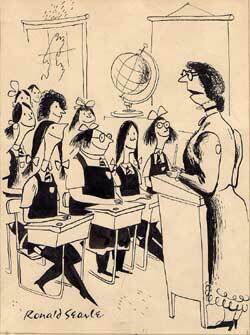 His answer seems to be that it is a universal phenomenon. 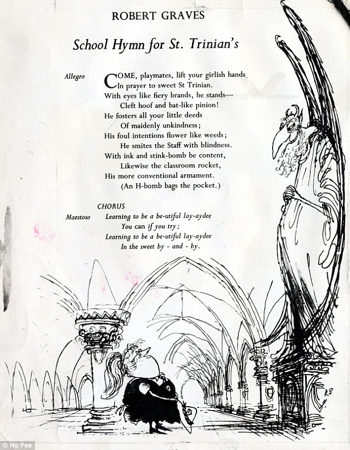 His stroke of genius was to imagine a typical English private school for girls where the girls behaved in a violent manner towards their peers and their teachers. 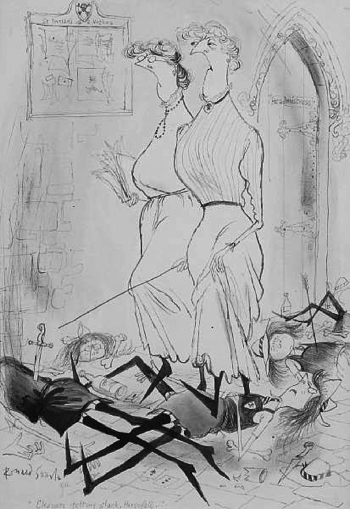 Behind the apparently humorous hijinks of the girls was a darker view of human nature in which violence, torture, and moral collapse was the order of the day. 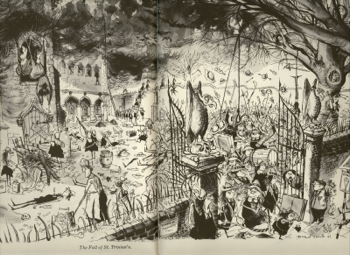 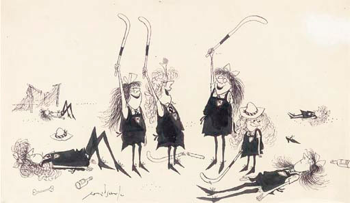 Searle did his first cartoons of the girls of St. Trinians while he was a prisoner and sold them to magazines upon his return to civilian life. 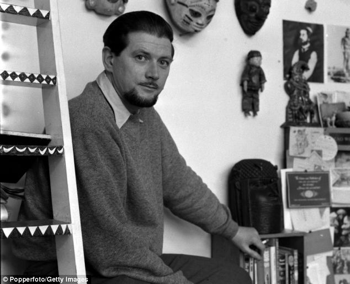 They subsequently appeared in books and then as films and made him a fortune. 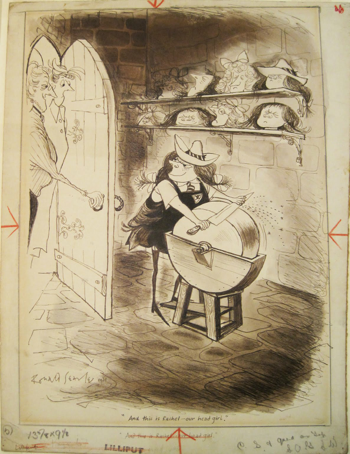 After his move to Paris in 1961 Searle was very successful with his work on magazine covers, cartoons, book illustrations and other art work. 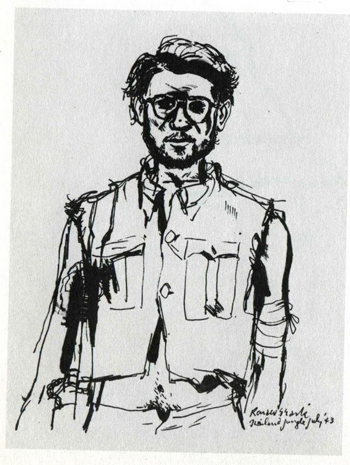 I have selected a number of works which illustrate his interest in the military and the political events of his day. 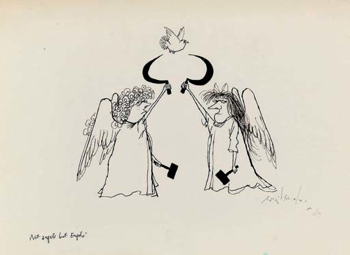 He explicitly acknowledged the influence of people like Francisco Goya, Honoré Daumier, George Grosz, and Pablo Picasso, all of who were also "political" in one way or another. 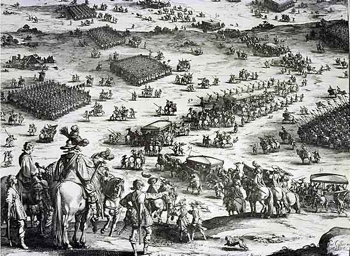 The large drawing below of "The Fall of St. Trinians" is a veritable battle painting in the style of the 17th century French engraver Jacques Callot who meticulously documented the battles and guerrilla fighting of the Thirty Years War, such as "The Siege of Breda".